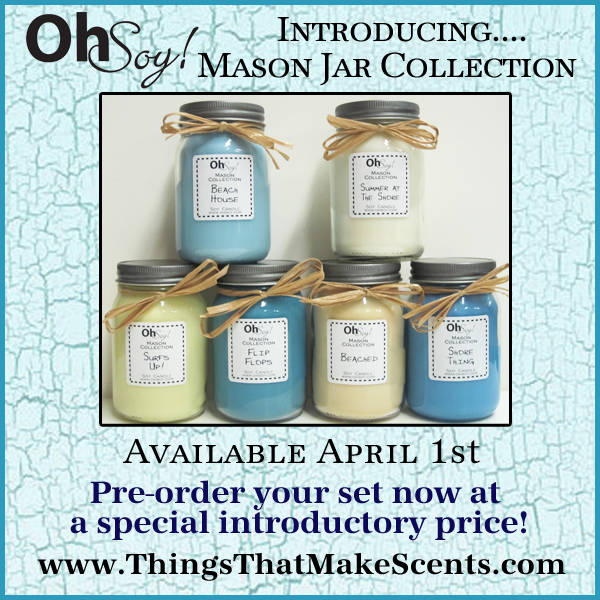 Only $85 for the whole set during this pre-order promotion! Click Here to order NOW! Beached - A day at the beach with sand, sea and suntan lotion. Beach House - Walk out your door, take in the sun, sand and surf mingled with beautiful wild daisies. Flip Flops - An exotic fusion of sweet passion fruit and tangy guava with notes of pineapple, pear & strawberry. Shore Thing - Blend of citrus & bergamot, surrounded by ginger, sandlewood, cedar, patchouli and sweet basil. Summer at the Shore - Crisp clean ocean air with just a hint of salt water! Surf‘s UP! - A tropical coconut surf wax scent.